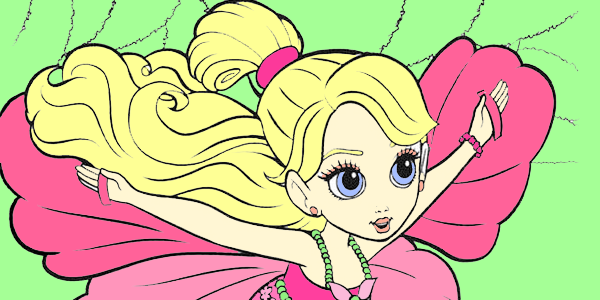 Barbie Thumbelina, or Barbie Presents: Thumbelina, is a 2009 Barbie film directed by Conrad Helten. 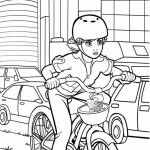 It is the fifteenth in the series of Barbie animated films, and features the voice of Kelly Sheridan as Barbie. The story title is like Hans Christian Andersen’s Thumbelina, but the story plot is different. The story opens with Barbie and kindergarten students walking in a big meadow, ready to plant trees. Emma, one of the children, finds a small tree and decides to plant it, but her friends laugh at her because of it, making her sad. However, Barbie cheers her up by telling her that a small tree can grow into a very big tree. Then Barbie tells the children about Thumbelina. 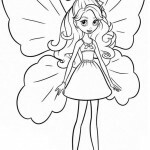 Thumbelina is one of the Twillerbees, you can see and color her in our Barbie Thumbelina coloring pages. Twillerbees have the ability to make plants grow faster (and as revealed later on, they can grow plants out of nowhere as well). Thumbelina is excited when there will be Twillerbabies. She creates fake wings for herself and for her two friends, Janessa and Chrysella. They will use the wings to see the Twillerbuds bloom to be Twillerbabies. 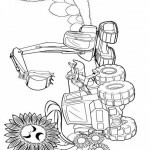 When they try the wings, suddenly many tractors come to their field. Hiding in the flowers, the trio are trapped. They are brought into an apartment they never knew before. 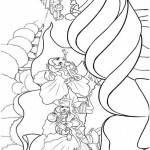 You can see the Twillerbees flying around in our Barbie Thumbelina coloring pages. The apartment belongs to the parents of a spoiled, wealthy girl, named Makena. The flower bed is placed in Makena’s bedroom. 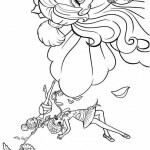 As Thumbelina, Chrysella, and Janessa search for a way to go back to their field, Makena’s dog Poofles run after them. Makena comes into the bedroom while the trio hides. Makena talks to her friend Violet from a cellular phone about her parents who will build a factory on the Twillerbees field. An upset Thumbelina scolds Makena, who is surprised, yet happy to find an interesting thing to be demonstrated to Violet. She always competes against Violet. 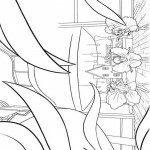 The three Twillerbees try to escape from Makena and Poofles. Finally, Thumbelina sends Chrysella and Janessa home. 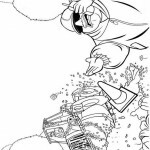 They will disturb the work in the field while Thumbelina will talk to Makena. Thumbelina makes Makena promise not to tell anyone about her and Makena must persuade her parents to stop building the factory. 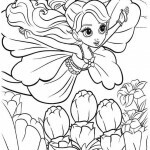 Now that you’re done reading, you’d better move on to our Barbie Thumbelina coloring pages quickly!